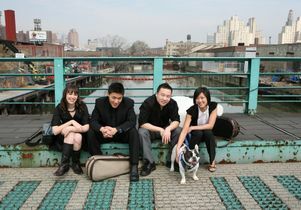 The winners of the 2011 Grammy Award for chamber music number among the top performers scheduled to appear over the coming year at UCLA's William Andrews Clark Memorial Library. In addition to the Parker Quartet, the eight-concert season includes a command performance by Augustin Hadelich, widely considered the best young violinist active today. The season runs from Sunday, Oct. 30, through Sunday, April 22, 2012, at the gem-like 1926 library, located in Los Angeles' historic West Adams district. "I'm extremely pleased to continue the long and proud tradition of Chamber Music at the Clark," said Barbara Fuchs, the newly appointed director of the UCLA Center for 17th- and 18th-Century Studies, which organizes the concerts. "This promises to be our best season ever." 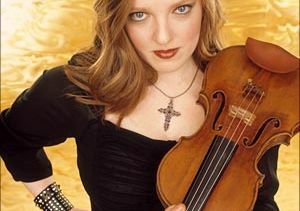 During its 17-year history, Chamber Music at the Clark has earned a reputation as a launching pad for up-and-coming American talent and for fine foreign ensembles seeking to make inroads in the U.S. The approach has proven so successful that groups continue to return long after establishing themselves. But demand consistently outstrips seating in the intimate venue, so organizers distribute tickets by lottery. Submissions are due approximately five weeks prior to each concert. The first deadline is Sept. 23. "The series is so popular that we could easily fill seats three times over, but we want to spread the wealth since our goal is community outreach," said Fuchs, a professor with joint appointments in English and in Spanish and Portuguese. 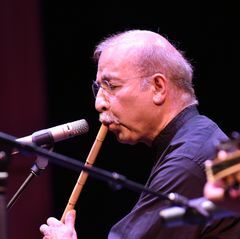 Tickets cost $25, thanks to generous support from the Ahmanson Foundation, the Edmund D. Edelman Foundation for Music and the Performing Arts, and several individual donors. The Sunday afternoon concerts offer a rare opportunity to visit the sumptuous library and grounds, which were donated 85 years ago to UCLA by philanthropist and copper fortune scion William Andrews Clark Jr., who also founded the Los Angeles Philharmonic. The 2 p.m. performances take place in an intimate 100-seat drawing room specifically created by Clark in 1926 for his own chamber concerts. 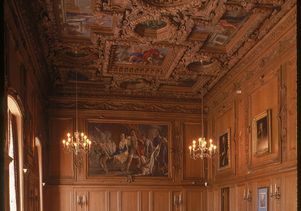 The wood-paneled room features an ornate fireplace, elaborate murals and vistas of the library's formal gardens. A reception with the musicians follows each concert. Lottery submission forms are available at this website: www.c1718cs.ucla.edu. Submissions must either be hand-delivered or postmarked by the deadline to UCLA's Center for 17th- and 18th-Century Studies, 310 Royce Hall, Box 951404, Los Angeles, CA 90095-1404. The Clark Library is located at 2520 Cimarron St. For information, call 310-206-8552.